UPPSC (Uttar Pradesh Public Service Commission) published recruitment notification for 470 State / Upper Subordinate Services Examination, 2015. All eligible and interested candidates can apply online on or before 28-02-2015 (28 February 2015). 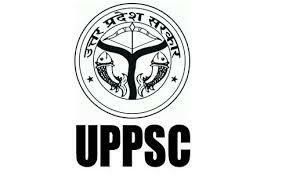 More detailed information on the selection procedure, educational qualifications, age limit, Pattern of the examination syllabus for UPPSC (Uttar Pradesh Public Service Commission) Recruitment 2015-470 State / Upper Subordinate Services Examination 2015 is mentioned below. Candidate’s age should be between 21-40 years as on 07.01.2015. Age relaxations will apply according to the rules. Candidates must have finished their Bachelors / Masters Graduation / Post Graduation Degree / Master’s degree or equivalent qualification from a recognized university. All eligible applicants will be recruited based on their performance in the written test, Interview. Rs 15600/- to 39,100/-With 5400/- Grade Pay. All eligible and interested candidates can complete the application online through the official website http: //uppsc.up.nic.in before or on 28-02-2015. Registration of the online application form is: 28-02-2015.